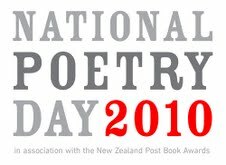 Northland celebrates National Poetry Day this year with a series of events hosted by the Whangarei Writers’ Workshop and the NZSA Northland, in collaboration with Whangarei’s Mid Winter Arts Festival. Workshops, readings, performances, and contests July 24 – August 1. This year’s main event takes place on July 29, when we’ll announce winners of this year’s poetry contests, invite people to present poetry selections, and honour Rosalie Carey, who has dedicated her life to the written and spoken word. For more information about our Poetry Contests for published and unpublished poets, click here.